Two men have been jailed following a three-year complex money-laundering enquiry by financial investigators in Avon and Somerset. The enquiry revealed the use of precious metals such as gold bullion and platinum from the UK, Europe and the Middle East to launder the proceeds of crime. 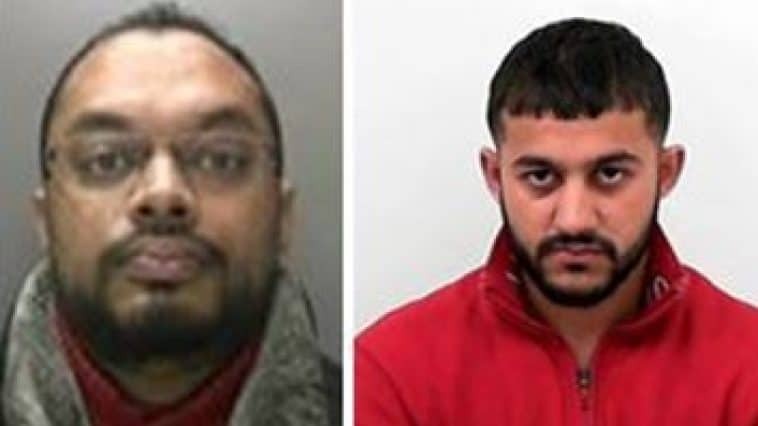 Kamran Ahmed, aged 25 of The Ridgeway, Westbury-On-Trym Bristol and Saqub Malik aged 34 of 544 Stratford Road, Sparkhill, Birmingham, recruited someone to set up a business and open bank accounts, which would be used to launder hundreds of thousands of pounds of criminal money. A company was set up called W A Trading Ltd., 22-24 Wenlock Road in London, which received nearly £400,000 within the first few days of operating, sparking a police investigation into the unusual circumstances surrounding the operation. The investigation was able to demonstrate that Malik had used Ahmed to recruit people to open bank accounts to launder criminal proceeds. Gold bullion and platinum which were purchased using money gained from criminal activity were bought into the UK and sold and the cash then invested into the shell companies. Following the complex investigation by Avon and Somerset’s Complex Crime Unit the two were arrested and charged. After a four week trial Ahmed and Malik were convicted of conspiracy to launder criminal funds. At Bristol Crown Court on Wednesday Ahmed was jailed for 12 months and Malik to four and half years in his absence, after he failed to appear at court. The police were able to restrain funds in the bank account of W A Trading Ltd., which amounted to almost half a million pounds. Confiscation order proceedings under the Proceeds of Crime Act will now commence to recover the proceeds of crime from the defendants, to ensure they do not benefit from their criminal conduct. A court warrant has been issued for the arrest of Malik for his non-attendance. He will face an additional charge of contempt of court when he returns to court.